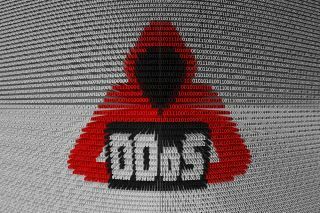 Businesses say there are 'innocent bystanders' in DDoS incidents. A quarter of businesses that have suffered a distributed denial of service incident believe they were an accidental victim, and that the DDoS attack wasn't intended for them in the first place. This is according to a new report by Kaspersky Lab, which found that 27 per cent of businesses believe they were a victim of a DDoS attack because they were an 'innocent bystander'. The same report also says that companies aren’t doing enough to defend themselves from such attacks, with 28 per cent not using specialised DDoS protection. They don’t use it mostly because they don’t believe they will ever be targeted. As for who is behind these attacks - almost a quarter (23 per cent) thinks it might be a competitor, either for espionage or disruption purposes. “Businesses can’t afford to display an ‘it won’t happen to me mentality’ towards DDoS attacks, but a worryingly large proportion of organisations are still doing so – despite today’s heightened threat landscape,” commented David Emm, Principal Security Researcher at Kaspersky Lab. In early March, GitHub was hit by the largest DDoS attack in history, recording an attack of 1.35TB/s.